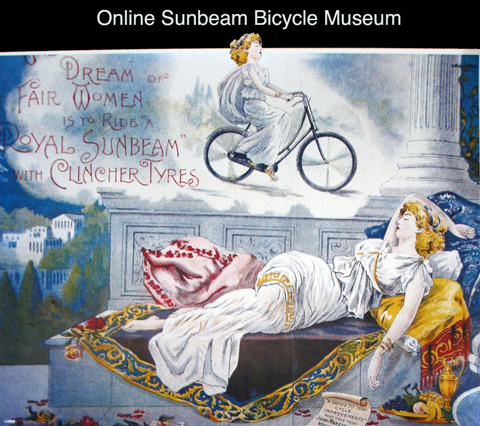 The advertisement above (adapted for my Online Sunbeam Bicycle Museum) is interesting in that it combines two products, Sunbeam bicycles and Clincher Tyres. 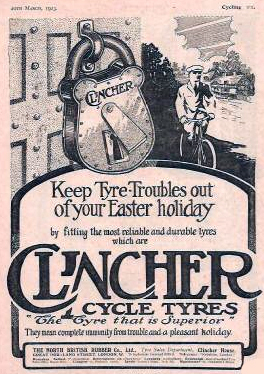 Both were launched in America in the 1890s, a boom time for both bicycle and tyre manufacturers. 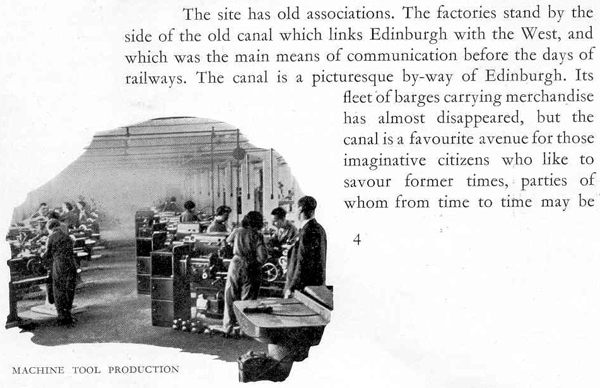 This was also the beginning of the advertising industry as we now know it. 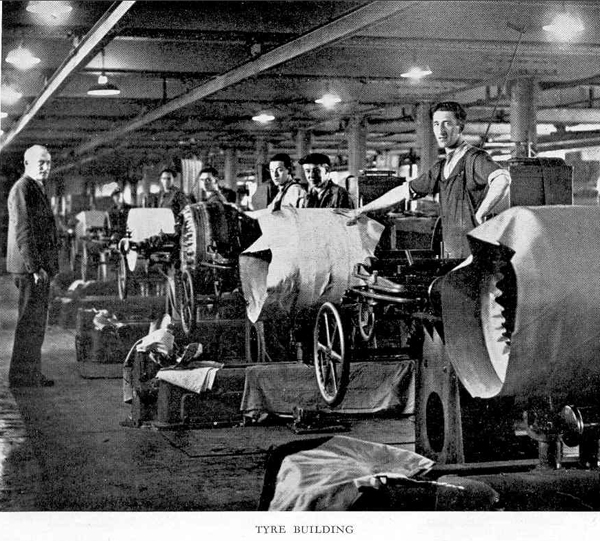 In America and France in particular, full colour posters used dynamic messages and pictures of women to launch products …with such success that they transcended mere adverts to become a new artistic genre. 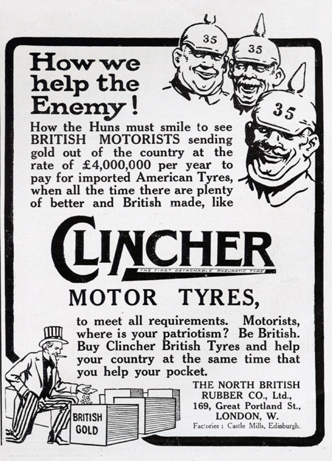 Adverts in Great Britain (below) were somewhat staid by comparison. 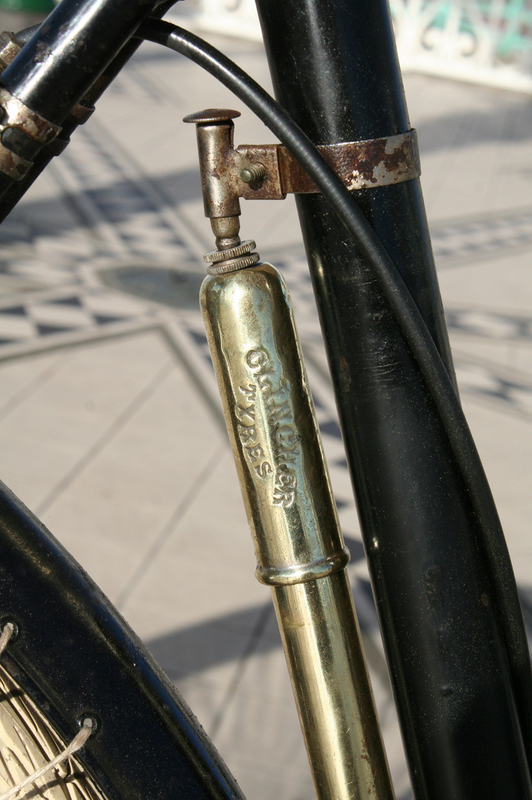 I don’t have Clincher tyres on the 1901 Sunbeam; but I have at least managed to add a brass Clincher tyre inflator. 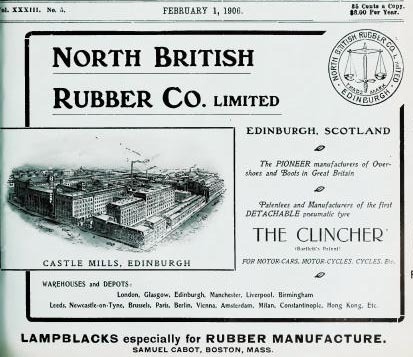 Despite the name, the North British Rubber Company was American owned and run. 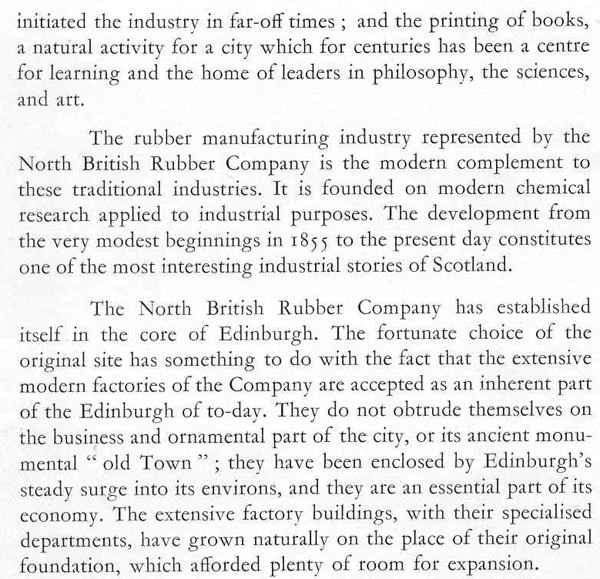 They were based in Scotland as a ploy to avoid tyre patent infringements. 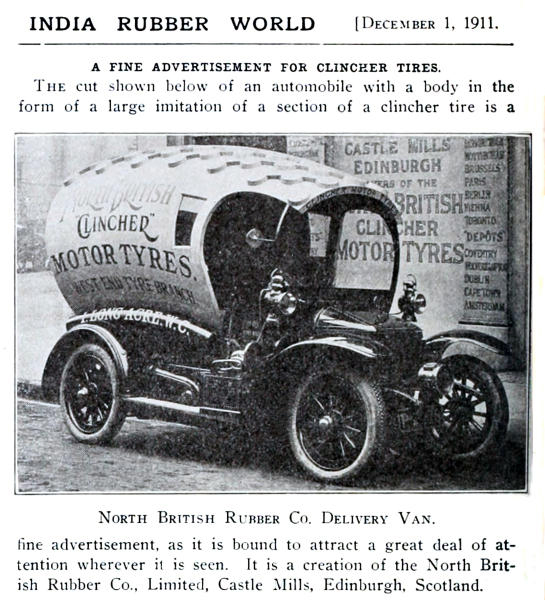 The name ‘Clincher tyres’ was, of course, a generic term used to describe the wired-on variety of tyre as distinct from the beaded-edge type. 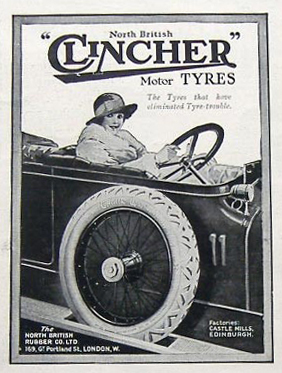 It was very clever of this company to turn it into their product name.